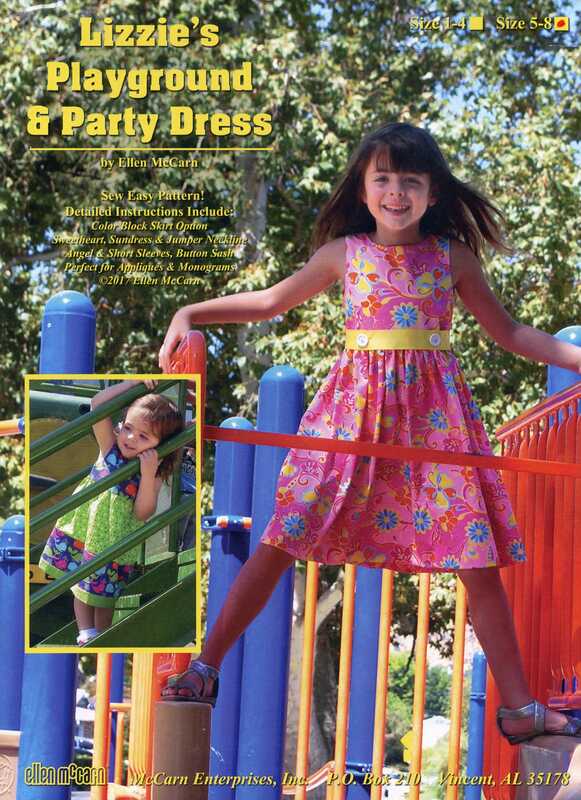 This new pattern from Ellen McCarn is quick and fun to make. 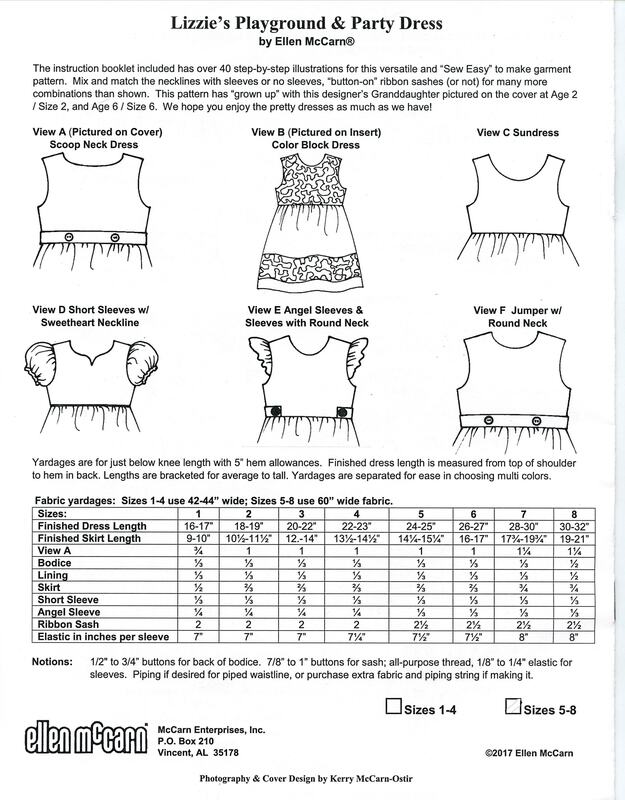 Perfect for a beginner and lots of variations and choices allow the experienced sewer to design their own dress. Sizes 3 mos. - 4 yrs. Sizes 5 yrs. - 8 yrs.